Imagine your special day under the grand Rotary Peace Arbor surrounded by the blossoms of the Rose and Perennial Garden. Picture your event in our unique timber-framed event hall open to the wide terrace overlooking the Garden. For more information or to reserve your date, contact us at (479) 750-2620 or khoover@bgozarks.org. Appointments are required as we are unable to accommodate drop-in inquiries. 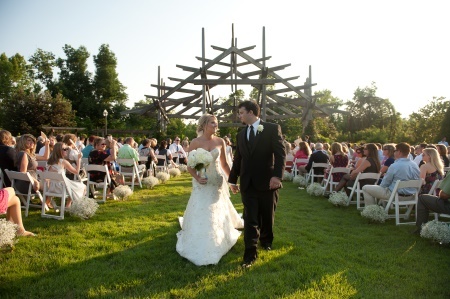 The Garden is also available to rent for various functions including weddings, conferences, and other events.